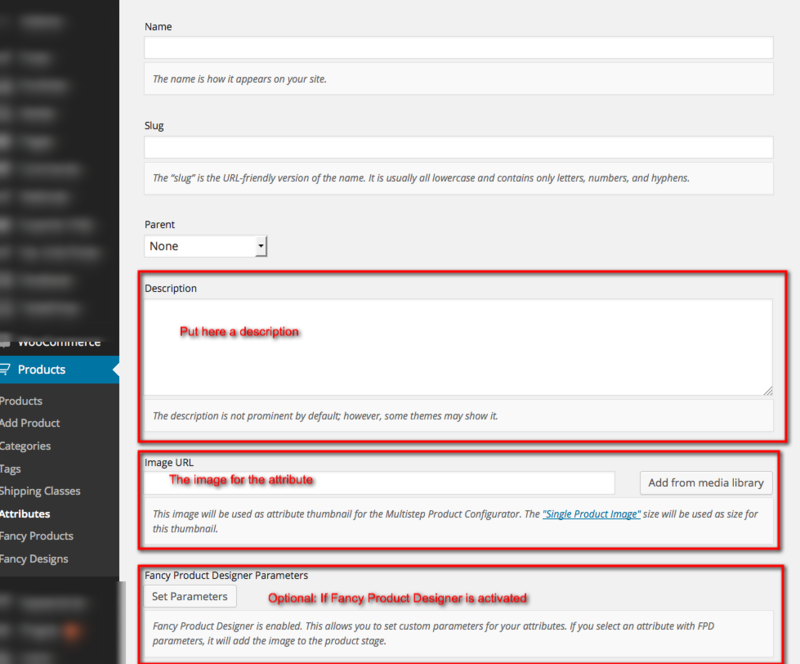 First of all upload the multistep-product-configurator folder/zip the to your wordpress plugin directory and activate it in your Plugins page. If you do not know how do that – just google it. There are a many tutorials that explain how you do that. If this is hook is missing, the module can not be displayed on the frontend and is bad coded from the theme author. You need to contact the theme author and tell him to fix that. You can use MSPC only for variable products, of course. Just create a variable product with some variations. If you do not know how to do that, WooCommerce offers a nice tutorial on it. 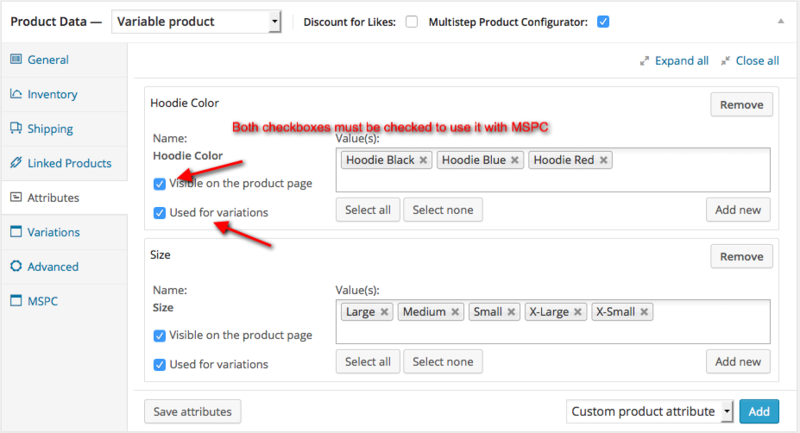 The attributes of your variations will be used in the Multistep Product Configurator. Just enable MSPC in the Product Data Metabox. In the Attributes admin page you can set a thumbnail and a description for an attribute. The MSPC plugin will add an adittional field to set a thumbnail for an attribute. The thumbnail size is controlled via the dimensions that you set for the “Single Product Image” size in the General settings of WooCommerce. You can only use attributes that created via the “Attributes” admin page, setting attributes in the data panel when editing a product is not supported. If you are using Fancy Product Designer plugin for WooCommerce you can interact with the variation attributes and the product stage of Fancy Product Designer. Do not use the same name for an attribute (term) in different taxonomies, that will overwrite each other. For example you create a “Size” taxonomy for your “Shirts” and for your “Cards”. If you enter “Small” as attribute in both taxonomies, it will overwrite each other. This is known wordpress bug. Just create unique attributes, e.g. “Shirt Small” and “Card Small”.